ISLAMABAD: Authorities at the Parliament House have finally been forced to devise a ‘strategy’ to contain the number of rats that have taken over the five-storey building. The rodent population in the building has grown to a shocking 50,000. A local news channel on Tuesday reported that the rat infestation in the parliament is a known problem as a private firm was being paid Rs 650,000 annually to rid the house of the gnarly animals. According to a ‘survey’, the rats live and roam around like kings in the Parliament Lodges, cafeteria, Prime Minister’s House and President House. The news channel also reported that the firm was maintaining a detailed record of the progress. Details of each trap, plate or bait being placed across the parliament house are noted on a form and the resulting success or failure of each trap is then added to the details. Does this number include the parliamentarians? Either ways these rodents are among their own kind so please let them be. 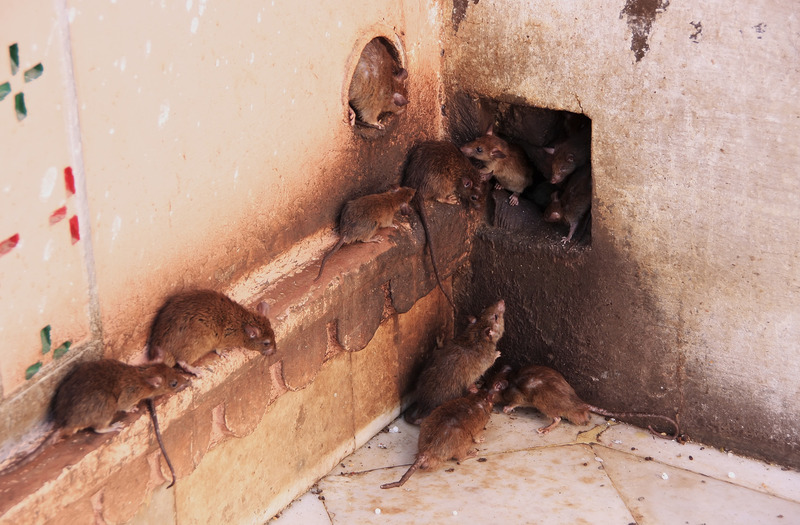 Rat infestation in urban situation is world-wide issue and about to billion rats are residing on earth. Sadly in developing countries like Pakistan ,rodent population outnumbered due to ideal survival conditions and parliament house is best example .However ,with application of scientific based strategy ,we can eradicate this menace through mechanical, chemical and biocontrol techniques.